We aspire to provide skilled and motivated manpower catering to the rapidly changing industrial needs and also to train students through cut throat competitive and techno savvy world. Additionally, these courses offered are delivered through world class state-of-art laboratories and hi-tech tools and equipment. We wish to inculcate leadership qualities, creativity, problem solving and many more skills like these by exposure to real time problem solution activities. 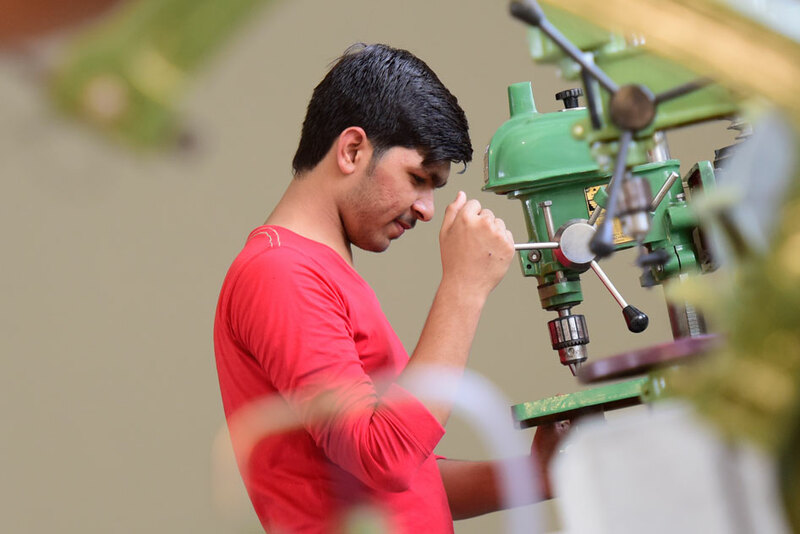 We also thrive to produce competitive and employable human resource of Engineering for the global market through the establishment of Center for Skill Enhancement and Professional Development. In the nutshell, we are aiming for excellence academic exposure to the students and hence, produce not only job seekers but also job creators and leaders of tomorrow. P PSavani School of Engineering strives hard to build a strong foundation of novel approaches to teaching-learning processes in order to impart quality education in Engineering in comfortable, enjoyable and easy learning environment to the budding engineers. We, at P PSavani School of Engineering, offer intensive learning programs accompanied with interdisciplinary studies and research.